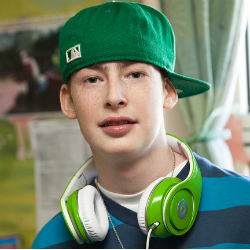 June 15, 2012: The Montreal Children’s Hospital of the McGill University Health Centre is pleased to report that 15-year old Vincent Lambert underwent a heart transplant operation earlier this week. He remains in stable condition in the Paediatric Intensive Care Unit and is being monitored around the clock by a team of medical and nursing professionals. Vincent's parents Alain Lambert and Lyne Chabot wish to thank the family of the donor for their courageous decision, which led to their son's heart transplant operation. Their prayers are with this family. They also wish to thank the numerous Quebeckers who sent their well wishes and messages of support to their son and family over the past few months. In order to respect Vincent’s privacy during this critical stage of his recovery, the Hospital and family will refrain from making any additional comments about his condition until he has had some time to recover. At three months of age, Vincent’s heart was damaged by a virus. His heart condition was stable until the spring of 2011, when he went into heart failure. Medications helped for a while, but by autumn it was clear he needed a heart transplant. Vincent was placed on a mechanical heart on September 18, 2011 which kept him alive while he waited for a compatible heart to replace his ailing one. The hospital will be in touch with the media when there is more to report. We thank the media and the general public for their interest and understanding.